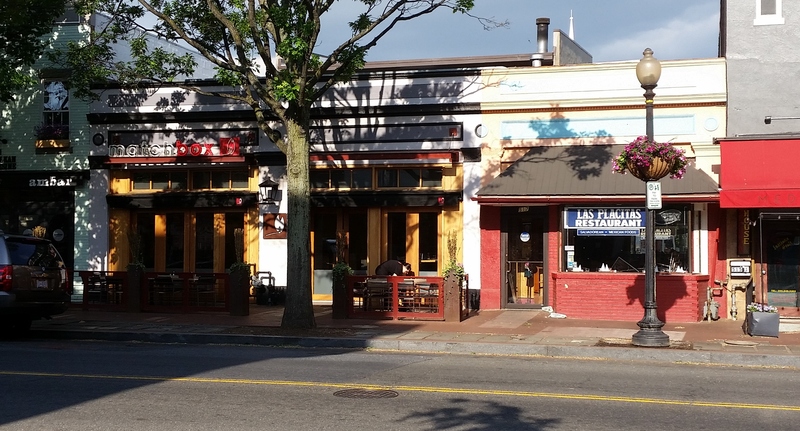 ANC6B/Business Owners Working Group on Barracks Row met Thursday night at 700 Penn. At center top in blue jacket is Tom Johnson – at far right, Gaynor Jablonski. They will act as co-chairs of the business half of the group’s leadership. At top, from left: Commissioner Steve Holtzman, Martin Smith – Executive Director of Barracks Row Main Street, Commissioner and Working Group Chair Brian Ready, ANC6B Chair Chander Jayaraman. 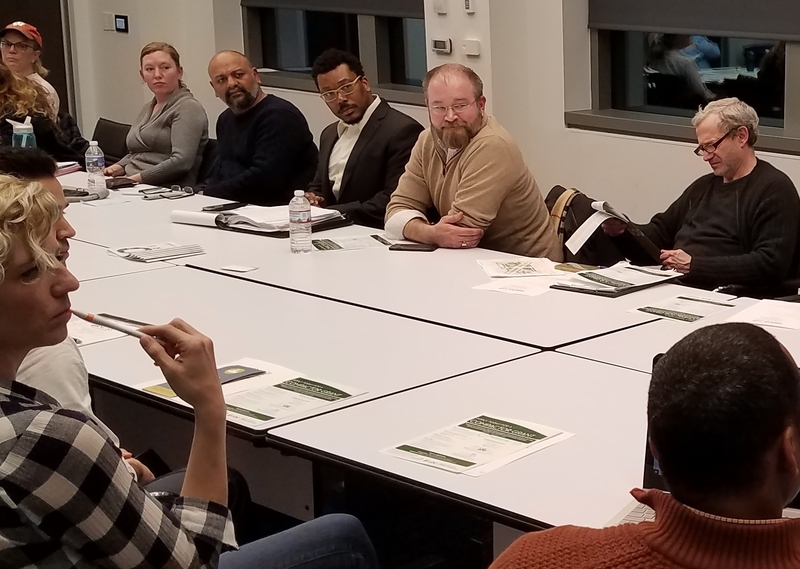 Commissioner Brian Ready, Chair of ANC6B’s Barracks Row Working Group, convened the first of a series of monthly meetings to address the challenges facing commercial/retail outlets on Barracks Row. 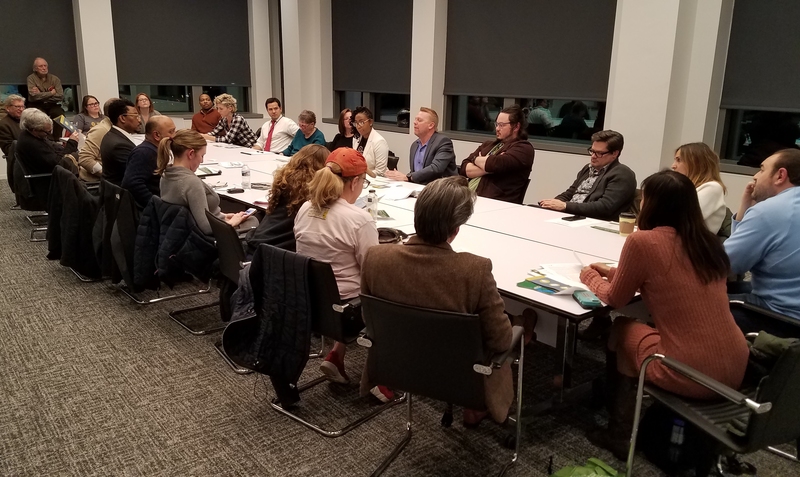 More than 30 interested parties – ANC commissioners, business owners, and neighbors showed up for a round-table in the 7th floor conference room of 700 Pennsylvania Avenue. The consensus of the group was that the top three challenges in order of importance are safety, appearance, and marketing. 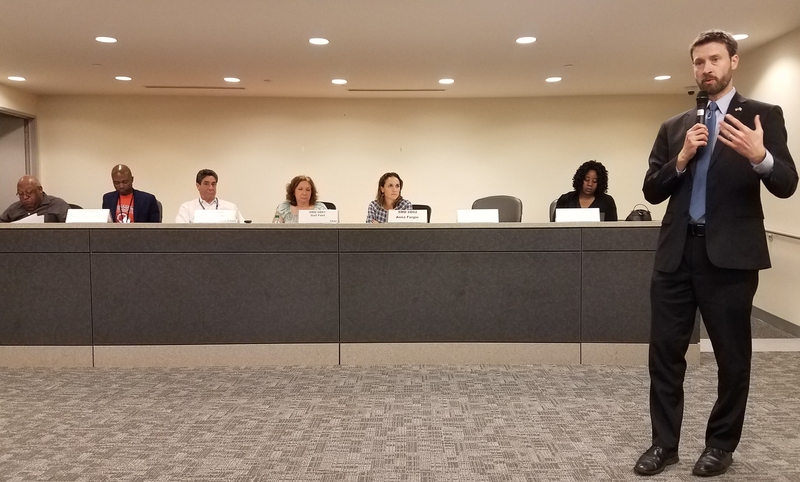 Ready says that the group agreed on efforts to improve the appearance of the street, including requesting DDOT to complete the scheduled upgrade of the slate slab part of the commercial strip’s sidewalks, along with doing as inspection for ADA access. The group will also arranging for a power washing of the 400 block. Once these two challenges are dealt with the group will focus on marketing, and those efforts will be coordinated by business owners Gaynor Jablonski and Tom Johnson. The two are co-chairs of the working group representing the Row’s commercial interests, while Ready represents ANC6B. Jablonski is owner of District Restaurant Group – The Ugly Mug, Jake’s Grille, and Katherine’s Catering; Johnson is Managing Partner for the Hill Restaurant Group – Finn McCools, Hawk & Dove, Tio’s, Lola’s, Ophelia’s, and Orchid. 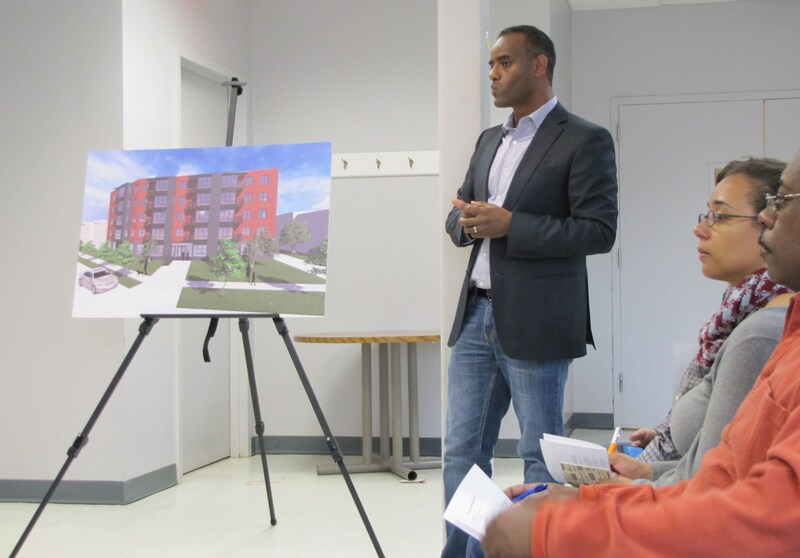 The meeting also helped clarify the interests of Community Connections, who had a representative present to remind the group that they are one of the street’s business owners, as leaseholders for Dunkin’ Donuts and Yes! Given that fact, the rep said that Community Connections has the same interests on the street that the other business owners have in ensuring the street remains vital and vibrant. 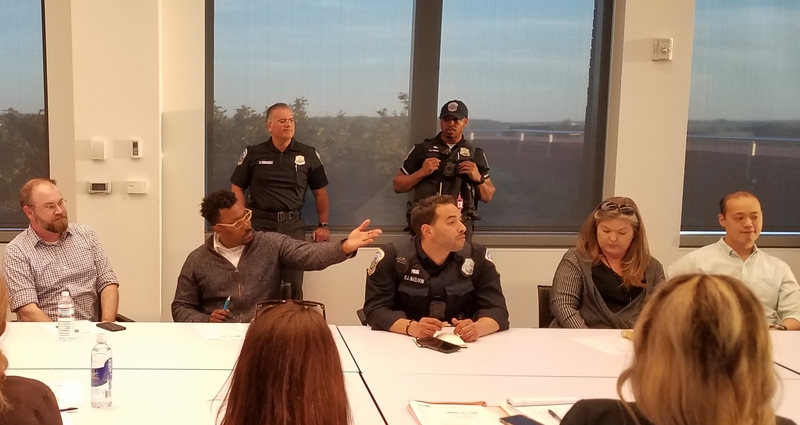 Community Connections told the group that staff patrols the area every other day to service current or potential clients on 8th Street and that the organization will explore whether they can commit additional resources to the effort. 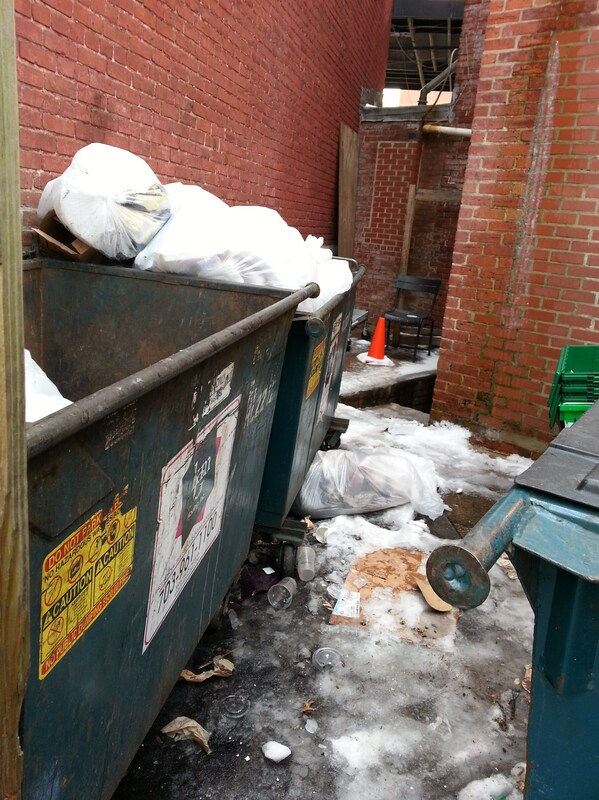 The Working Group was the brain-child of ANC6B Chair Chander Jayaranman. In February, he announced the formation of a “subcommittee” to bring a coordinated ANC/business effort to reverse a downswing in the attractiveness of the Row as a destination. Jayaraman said that the effort was necessary based on the recognition that Barracks Row is competing with the Wharf, H Street, and the Waterfront at Yard Park. Jayaraman’s plan was that the subcommittee would be co-chaired by Commissioner Brian Ready and a representative from the business community “but will be driven by the business community on Barracks Row”. (The community co-chair job was subsequently divided into two co-chairs.) He listed the goals of the subcommittee as: develop strategies to market Barracks Row across the city as a go-to destination, think creatively and generate ideas for events and promotions to attract customers to Barracks Row, organize and facilitate a meeting with property owners about ways to ensure the long-term sustainability of Barracks Row through fair lease agreements, and generate ideas for attracting more businesses to Barracks Row to fill empty storefronts. Going forward, the group plans to meet the third Thursday of every month. The takeaway from this working group is that Barracks Row Main Street is abdicating its roll of Barracks Row promotion to the ANC. BRMS, while once an effective organization, has been resting on its laurels for some time and failed to promote the corridor as it should. As a result, residents and visitors have discovered other destinations — Navy Yard, the Wharf, Union Market, etc.